The other night, the Ogre and I sipped on Irish coffees, decorated the Christmas tree and watched Elf. We didn't eat a whole roll of Tollhouse cookie dough as fast as we could, but we did snuggle during the end of the movie. It's so nice to have found a soulmate that shares my affinity for elf culture. Inspired by Buddy's adventure from the North Pole to New York, I passed through the seven levels of the Candy Cane Forest during my weekly walk around the handmade hills of Etsy. I got a little dizzy in the Sea of Swirly Twirly Gum Drops, but emerged triumphantly with these adorable creations. Don't be a cotton-headed ninny-muggins - go take a closer look! Awww, the peppermint pixie doll is so sweet! Love that shop! Great post! I love elves and the movie Elf, lol. 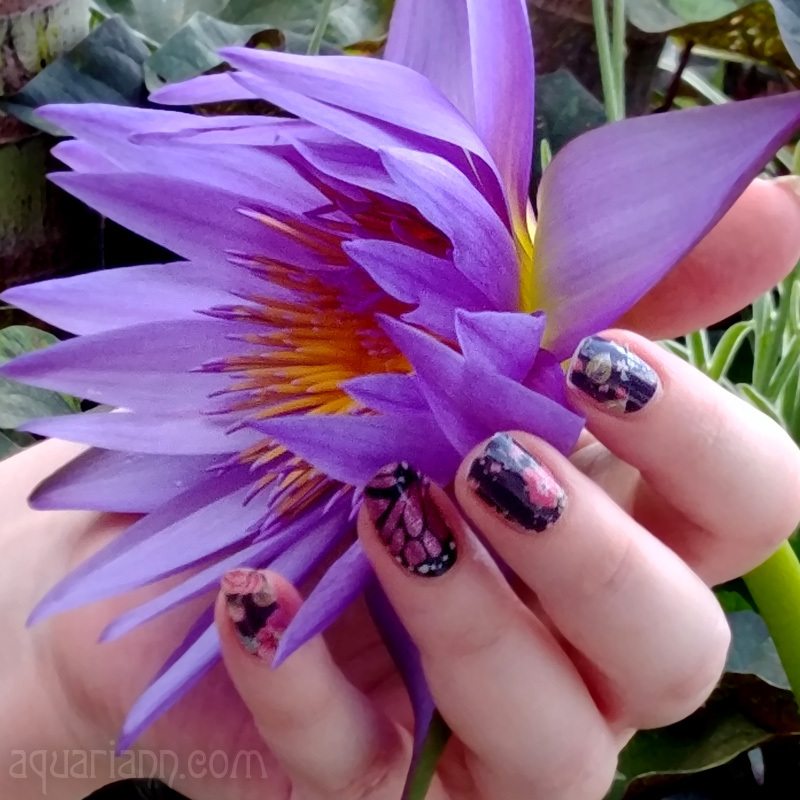 Really lovely finds on etsy! Nice finds. Elf - so very funny! The movie was adorable and very funny, a true romantic comedy. My only complaint is that it propelled the word "Ginormous" into main stream English and now everybody is calling anything that's overly large "ginormous". Wonder what will happen to the 2 perfectly good and correct words of gigantic and enormous ? Guess they'll become lost to the English language, never to be used again. 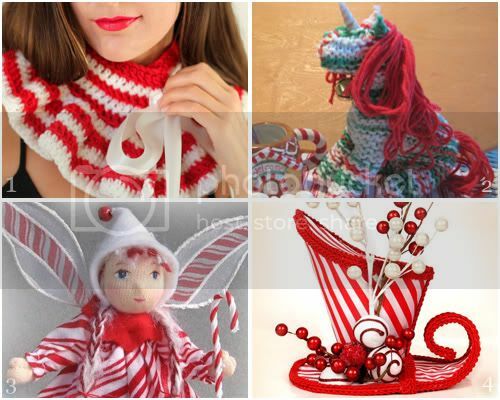 Love all the pretty red and white candy cane striped items, so Christmasy and as fresh as a peppermint stick. 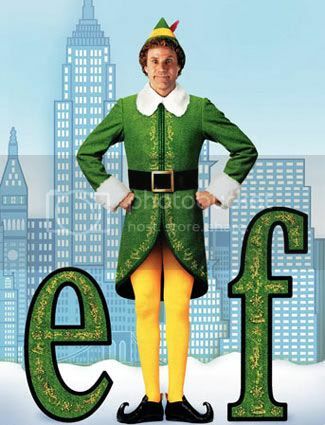 I loved the movie Elf! Thanks for reminding me about it. I'll have to watch it again this season! Love the top hat in red.